The Christian Medical Association, the nation's largest faith-based association of doctors, has condemned New York's new law allowing abortions up until delivery, and Virginia's similar legislation, as "medically unnecessary" and "morally bankrupt." Chupp believes that abortion advocates’ argument that “a developing baby is just a ‘blob of tissue’” is a gross mischaracterization of the truth. CMA Senior Vice President, Dr. Gene Rudd, an Obstetrician-Gynecologist, asks, "Has our society become so heartless that we will condone the killing of babies capable of living apart from their mothers?" In 2003, millionaire abortionist, Kermit Gosnell, was convicted and sent to prison for the very thing that is now legal — late-term abortions. Kermit Gosnell was sentenced to three life terms for killing an aborted baby that he described as so big it could "walk to the bus." 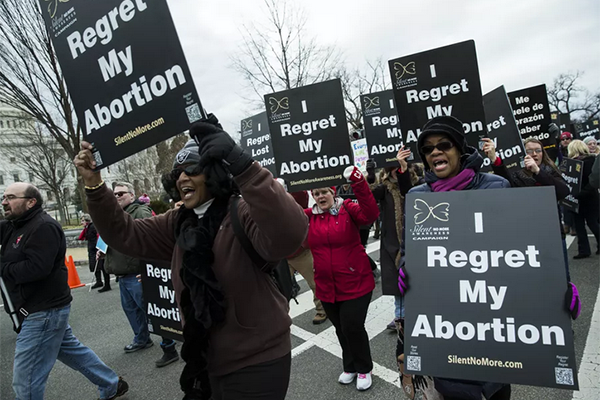 But now, late-term abortion has been legalized and re-characterized as a triumph for women’s rights. He was found guilty of first-degree murder in the deaths of three infants born alive, though employees testified to more than 100 baby-killings. Gosnell was sentenced to three life terms in prison. But now, what was once viewed as a heinous crime is celebrated. How far we have fallen morally in America. With exuberant cheers and celebration, last month, the Reproductive Health Act was signed into law by Gov. Andrew Cuomo, allowing late-term abortions—up until a baby’s due date if a woman’s health is at risk. The Democrat-led Senate and Assembly passed the bill on the 46th anniversary of the Roe decision. The previous law only permitted abortions after 24 weeks of pregnancy if a woman’s life was at risk.